If you haven’t heard of Pinterest, the latest social network to take the world by storm, I hope you enjoyed your trip underneath that rock for the past few years. Pinterest is a user-friendly platform that provides you with virtual pin-up board to which you can ‘pin’ photos and videos that happen to interest you. So, essentially, you are ‘Pinning’ your interests, hence the name. While Pinterest may sound cute and fun, it is much more than that, particularly for online marketers. With Pinterest, if you know what you’re doing, you can drive tons of traffic to any site, blog or landing page, engage with readers much more effectively and you can build a visual representation of your business that your audience truly responds to. According to recent statistics, the site gets nearly 1.5 unique visits per day and each user spends about 15 minutes per day on any given Pinterest board. With five million active users and with that number steadily growing, using Pinterest for online marketing purposes just makes sense. Before you begin a Pinterest campaign, it is important to learn the tricks of the trade. It is more important to follow the online marketing experts who have used Pinterest to boost traffic and revenue substantially since the social network hit the Internet. To help you create a Pinterest presence that your online visitors truly respond to, here are ten tips for making your Pinterest boards are much more Pinteresting. 1. Use Smaller Images And Infographics For Better Click-Throughs: Infographics and small images are hard to see on the Pinterest site. If you have built up enough interest in these images with engaging headlines, you will find that more people will click-through so that they can see the full-size infographic or image depicted. 2. List Your Business Name Prominently On Your Pinterest Profile: If you haven’t done so already, you should change your username and profile name to be the name of your business. This will build more brand recognition for everyone who visits your profile or board. 3. Don’t Skip The About Section: As it should be for all social networking profiles, never leave any spaces you’re afforded blank. Your About section should be filled with interesting and engaging content that makes visitors to your profile want to learn more. When people visit your Pinterest board, your About paragraph(s) will appear directly under your photo. Your About section will be seen by other Pinterest users and it could bring more traffic to your site, blog or page. Fill it out. 4. List Your Website On Your Profile: Right after you’ve filled out your About section, list your website’s URL in the appropriate spot on your profile. After people read your engaging About section, they’re going to want to know where to go to learn more. Let your URL point the way. 5. Link Your Social Networks Together: As with all social networks, you should link them together as much as possible. When signed into Pinterest, find the settings section and link your Facebook and Twitter accounts to your Pinterest account. Your Pinterest page will gain far more followers, but you will also add a few social media icons to your Pinterest profile. Visitors to your Pinterest page will then be able to find your Facebook or Twitter easily if they like what they see on your board. 6. Pin Consistently And Often: Don’t throw a bunch of pins on your board in one setting. It is best to place pins consistently over time so that you can build up a following. Your pins should be relevant and interesting and you should be gauging your analytics to find out what’s working and what’s not so that you can tweak your pinning habits over time. 7. “Like” Other Pinterest Users’ Pins: Just like in Facebook, when you see content that you think is interesting or entertaining, give it a thumbs up by using the “Like” feature. 8. ‘Re-pin’ Occasionally: If you use Twitter, you might be familiar with the Retweet. This is when you Tweet a message someone else just tweeted. It’s sort of like passing the torch while driving even more attention to the message itself. You get attention and the original message writer gets attention, too. It’s a win-win. Re-pins work the same way. By re-pinning content that you think is interesting, you will reap the rewards and you’ll pass some of that attention-juice to the original pinner. Hopefully that Pinterest user will return the favor soon. 9. Comment On Pins: Just like you comment on other blogs to drive more attention to yours, you can do the same on Pinterest with Pin comments. When you find a Pin that fits with your business image, make a valuable comment. That is, leave comments that people can use and that people will find interesting (or controversial) and you will drive far more attention to your Pinterest board. 10. Create Interesting Board Names: You don’t have a lot of space, but try to come up with creative and interesting board names. Whenever you pin something, other Pinterest users will see the name of your board. Come up with a catchy or creative board name and you just might attract more traffic. The above Pinterest tips should help you reap quite a bit of traffic from other Pinterest users who might be interested in what your business is offering. When that traffic stagnates or even if you’re just too ambitious to stop at the beginner tips, here are a few advanced tips to help you boost your traffic, attention and overall revenue. 1. Use The Search Function: If you want to find all the like-minded Pinterest users, use the search function at the top left of every Pinterest page. This is a good opportunity to look for re-pins that can drive new traffic to your page from new sources. 2. Blog With A Pin It! Button: Pinterest gives you a Pin It! Button that you can add to the end of each of your blog posts. This is a great way to reveal your Pinterest board to your loyal blog readers. 3. WordPress Users, Use The Pinterest Widget: If your website users WordPress, search for and install the Pinterest Widget into one of the sidebars on your site. This will keep everyone who visits your website up-to-date with all your Pinterest pinning habits. 4. Add Contributors: Pinterest allows your staff to contribute to your Pinterest company boards. By involving multiple personalities into the creation and management of your company’s board, your staff will feel more involved, your content will be much richer and your audience will feel much more fulfilled and entertained. 5. 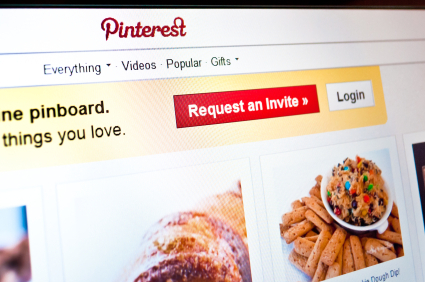 Add Prices To Your Pins: Did you know you could create your own Pinterest shop? Simply add the price in the pin’s description. This turns your board into a makeshift e-commerce site. Pinterest may even feature your pins in Pinterest’s Gifts section. 6. Watch For Trends: You can keep your finger on the pulse of Pinterest by frequenting the Popular link on the Pinterest home page. This is where you can find out what other Pinterest users are into and which pins are getting the most attention. This is a great way to find out where the traffic is going so that you can funnel some of it to your boards through pins and re-pins. 7. Become An Information Source: Your boards should be the source of information for your niche. You should gather all the latest news, information, updates and anything else you can gather to pin to your boards. Your audience will soon see your boards as the trusted source for the information they need and your that’s when your dedicated Pinterest following will surely grow. 8. Highlight Old Blog Content: Do you have years of old blog content but your Pinterest board is brand new? There are no rules against posting old content. Bring those old blog entries to the forefront by pinning them to your board and giving them an engaging description. You never know, you could end up rekindling all those old ‘traffic magnet’ blogs that you thought had long expired. 9. Create A Company Board: People today want to know that the companies they do business with are comprised of real people who live real lives. For this reason, it might pay off to create one or more boards strictly dedicated to photos, videos and information about your company. You could create a company history board that highlights the struggles your company went through to attain the success it enjoys today, you could highlight your company staff with photos and blurbs about each one and you could highlight all your products and services, all in HD. This is a great way to add a personal touch to your brand that your Pinterest audience is sure to respond to. 10. Just Be Yourself: The Pinterest community is comprised of men and women who are sharing their interests, nothing more, nothing less. Don’t put so much pressure on yourself to create the best boards anyone’s ever seen. You should by all means pin things that you are interested in and that help you express what you’re feeling. If you can remember that, you’ll find Pinterest to be far more fun and exciting. Follow the above steps, engage with other Pinterest users as often as possible and start pinning and re-pinning. Do that and your boards are sure to be the most Pinteresting on Pinterest. This entry was posted in Pinterest and tagged click throughs, infographics, pinterest, pinterest marketing, social media marketing, traffic generation by Bill McIntosh. Bookmark the permalink. Thank you so much for taking the time to write this brilliant article Bill! These tips will certainly help those who need an increase in traffic. I’d love to share this article with friends. Excellent post on how to generate traffic using pinterest. I picked up several nuggets. Thanks Bill! We’ve been one of those who watch from afar as to how Pinterest works, but haven’t really gotten into it yet. This gives us an idea how to operate in a new land should we decide to finally dock, so thanks! Great suggestion about starting a coompany pinterest page. We just started one and our staff enjoys adding their personal touch. We will need to think of how we can highlight company history. 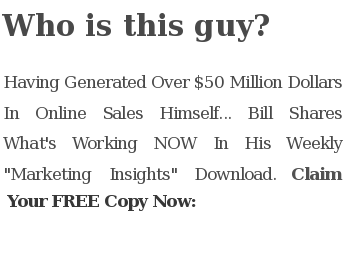 Great article Bill, i’ve been experimenting with pinterest lately in posting videos, articles and content and i’m starting to see traffic from it. Thanks for the tips to enhance that!